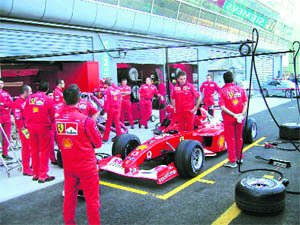 The inaugural edition of the Formula One Indian Grand Prix is right here. A country that is used to just cricketing extravaganza, is finally realising the potential of a global sports brand. But what exactly is it that makes Formula One such a big deal? Why is it considered the most lucrative of all motorsports? He has redefined age for the generations to come. At a little over 100 years and six months, he has literally run his way into the Guinness Book of World Records by becoming the world’s oldest man and the first centenarian ever to complete a full-distance marathon. Born on April Fool’s day in 1911, Fauja Singh, the Sikh gentleman from Beas Pind on the present Jalandhar-Pathankot road, now settled in England, successfully completed the recent Toronto Waterfront Marathon. Diwali is over. We all have feasted; danced, overspent money on food, clothes and the magic has now gone. What is left is a big guilt for binging endlessly. “Our greatest glory is not in never falling, but rising after every fall,” said Confucius. There is no point feeling guilty for past deeds. Here are a few steps you should take if you want to bring your body back to health after the festivities. To understand the phenomenon that F1 is, one has to get a grasp the technology that goes into the making of its cars. The engine: The 2006 Formula One season saw the Fédération Internationale de l'Automobile (FIA) introduce the current engine formula, which mandated cars to be powered by 2.4 litre naturally aspirated engines in the V8 engine configuration, with no more than four valves per cylinder. Surprisingly, a Formula One engine is over 20 per cent more efficient at turning fuel into power than that of most small commuter cars. Transmission: Formula One cars use semi-automatic sequential gearboxes, with regulations stating a 4-7 forward gears and one reverse gear, using rear wheel drive. The gearbox is constructed of carbon titanium, as heat dissipation is a critical issue, and is bolted on to the back of the engine. Full automatic gearboxes, and systems such as launch control and traction control, are illegal, to keep driver skill important in controlling the car. Wings: Early designs linked wings directly to the suspension, but several accidents led to rules stating that wings must be fixed rigidly to the chassis. The cars' aerodynamics are designed to provide maximum downforce with a minimum of drag; every part of the bodywork is designed with this aim in mind. The front and rear wings are highly sculpted and extremely fine tuned, along with the rest of the body such as the turning vanes beneath the nose, bargeboards, sidepods, underbody, and the rear diffuser. Ground effects: F1 regulations heavily limit the use of ground effect aerodynamics which are a highly efficient means of creating downforce with a small drag penalty. The underside of the vehicle, the undertray, must be flat between the axles. A 10-mm thick wooden plank or skid block runs down the middle of the car to prevent the cars from running low enough to contact the track surface; this skid block is measured before and after a race. Should the plank be less than 9 mm thick after the race, the car is disqualified. Regulations: A ban on aerodynamic appendages resulted in the 2009 cars having smoother bodywork. With the 2009 regulations, the FIA rid F1 cars of small winglets and other parts of the car (minus the front and rear wing) used to manipulate the airflow of the car in order to decrease drag and increase downforce. As it is now, the front wing is shaped specifically to push air towards all the winglets and bargeboards so that the airflow is smooth. The regulations which came into effect in 2009 have reduced the width of the rear wing by 25 cm, and standardised the centre section of the front wing to prevent teams developing the front wing. Construction: The cars are constructed from composites of carbon fibre and similar ultra-lightweight materials. The minimum weight permissible is 640 kg including the driver, fluids and on-board cameras. However, all F1 cars weigh significantly less than this, so teams add ballast to the cars to bring them up to the minimum legal weight. Steering wheel: The driver has the ability to fine tune many elements of the race car from within the machine using the steering wheel. The wheel can be used to change gears, apply rev limiter, adjust fuel/air mix, change brake pressure, and call the radio. Data such as engine rpm, lap times, speed, and gear is displayed on an LCD screen. 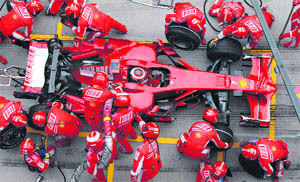 Fuel: The fuel used in F1 cars is fairly similar to ordinary petrol, albeit with a far more tightly controlled mix. Formula One fuel can only contain compounds that are found in commercial gasoline. Blends are tuned for maximum performance in given weather conditions or different circuits. Tyres: Tyres can be no wider than 355 and 380 mm at the rear, front tyre width reduced from 270 mm to 245 mm for the 2010 season. Unlike the fuel, the tyres bear only a superficial resemblance to a normal road tyre. Whereas a road car tyre has a useful life of up to 80,000 km, a Formula One tyre is built to last just one race distance, a little over 300 km. Brakes: Disc brakes consist of a rotor and caliper at each wheel. Carbon composite rotors (introduced by the Brabham team in 1976) are used instead of steel or cast iron because of their superior frictional, thermal, and anti-warping properties, as well as significant weight savings. These brakes are designed and manufactured to work in extreme temperatures, up to 1,000 degrees Celsius. Performance: Formula One cars and the cutting-edge technology that constitute them produce an unprecedented combination of outright speed and quickness for the drivers. Every F1 car on the grid is capable of going from 0 to 160 km/h and back to 0 in less than five seconds. Acceleration: The 2006 F1 cars have a power-to-weight ratio of 1,250 hp/t (0.93 kW/kg). Theoretically this would allow the car to reach 100 km/h in less than one second. However, the massive power cannot be converted to motion at low speeds due to traction loss and the usual figure is two seconds to reach 100 km/h (60 mph). After about 130 km/h traction loss is minimal due to the combined effect of the car moving faster and the downforce, hence the car continues accelerating at a very high rate. Deceleration: The carbon brakes in combination with tyre technology and the car's aerodynamics produce truly remarkable braking forces. The deceleration force under braking is usually 4 g (39 m/s2), and can be as high as 5–6 g when braking from extreme speeds. Top speeds: Top speeds are in practice limited by the longest straight at the track and by the need to balance the car's aerodynamic configuration between high straight line speed and high cornering speed (high downforce) to achieve the fastest lap time. Speeds have come down by some 10 km/h from the 2005 speeds, and 15 km/h from the 2004 speeds, due to the recent performance restrictions. The sheer tenacity and willpower with which he ran the 42.195 km distance in 8 hours and 25 minutes is enough to inspire people younger than him. “I feel happy that I completed the race. I know now I am the oldest one to run and complete a marathon. I still want to take part in many more events like these,” says Fauja, now settled in the UK. Dimitrion Yordanidis, a Greek runner previously held the record for the oldest man to complete a marathon. At the age of 98, he completed the race at Athens in 1976. “The marathon was a wonderful experience, for there were so many of my friends running with me. There must have been at least 50 of my close friends who were taking part in the Toronto marathon in different categories. There was the 5-km run, half marathon and the full marathon. I learnt that around 20,000 persons took part in the event and close to 3500 finished the race. To be among those who reached the finishing line is a matter of joy. Isn’t it?” says Fauja. “I am looking forward to taking part in the torch relay for the 2012 London Games. I had done that during the Athens Games. I am very hopeful this time too,” he adds. Fauja, interestingly known to many of his friends by the nickname danda for his spindly legs, surprisingly took to running at an age many do not even reach. He ran his first race in 1995 and the first marathon when he turned 89. Ask him about his first race and he draws a blank. “It is God’s kindness and blessings with which I have achieved whatever I have. I was a very weak child in the initial years and never could even dream of running. But I am happy now,” is all he explains. Of his own admission, the journey till now has not been easy for Fauja. “It has not been a smooth ride for me. I have worked hard and with God’s grace I have achieved these feats. I am nothing without running and the day I stop running, I will die,” retorts the Sikh poster boy. “Keeping stress away and being grateful to the Almighty is my mantra for a long and healthy life. Keep smiling and running,” he adds. Diwali is over. We all have feasted; danced, overspent money on food, clothes and the magic has now gone. What is left is a big guilt for binging endlessly. “Our greatest glory is not in never falling, but rising after every fall,” said Confucius. There is no point feeling guilty for past deeds. Here are a few steps you should take if you want to bring your body back to health after the festivities. The “morning after” is the worst time as one is feeling low both physically and mentally. Too much intake of fatty and sugary foods makes your body sluggish, as all the energy is required to digest it. Eating all those highly salted snacks has led to water retention and bloating. If you have overindulged in alcohol, you may feel dehydrated and low. Psychologically all the fun is over and there is nothing much to look forward to except going to back to your daily routine. Relax, this is absolutely normal. There is no point feeling guilty about the good times you had. Pull yourself up and have two glasses of plain water with a juice of fresh lemon added. 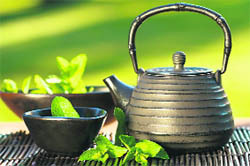 You can also have 1 or 2 cups of green tea with a bit of honey instead of sugar. A drink made by boiling saunf, cloves, cardamom and a few mint leaves in water is equally good. This will start the process of cleansing your system. Avoid too much of salts. This will immediately help in relieving the feeling of bloating and fullness. While you are recovering from a period of overindulgence in food and drinks it is important that you get lots of rest. You should get at least 8 hours of sleep. The kind of diet you are taking plays an important role in this. We can have a quality sleep by modifying our eating habits. First of all avoid having too much of coffee, tea, aerated drinks, energy drinks and alcohol. Avoid heavy or spicy food as it may cause heartburn and make it difficult for you to sleep at night. Avoid eating excessive fats. People who eat lots of fatty foods may also have more difficulty in sleeping. Be sure to get enough omega-3 fatty acids (from fish, flax seeds) as they have a role in sleep induction in your brain. Have a cup of non- fat milk at bedtime. Milk contains tryptophan, an amino acid hich is a precursor of melatonin that helps induce sleep. Banana also contains tryptophan. Cherries contain melatonin and they are also rich in vitamins. Eating fresh or dried cherries before you go to bed at night may help you sleep better. There is no point hitting the gym while your body is in a sluggish state. Gradually take to light exercises which do not involve too much of effort. Ideally long walks are recommended as this is a mild form of exercise. It improves your blood circulation and clears yours head. You must try simple yogic exercises specially the deep breathing exercises as little as 10 min in the morning and the evening as well. A full body massage with some aromatic oils also helps in relaxation.